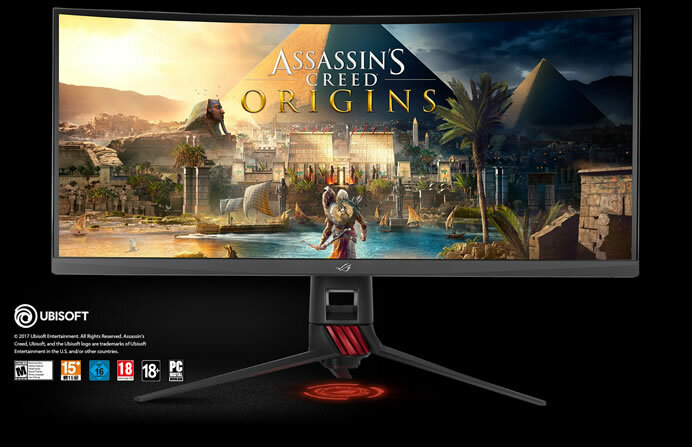 Asus Republic of Gamers today announced the launch of two impressive curved gaming monitors– ROG Strix XG32VQ and ROG Strix XG35VQ that deliver an immersive and comfortable viewing experience. The 35-inch ROG Strix XG35VQ is the largest curved monitor in the ROG family and offers unparalleled viewing immersion. The 32-inch ROG Strix XG32VQ is versatile curved monitor that offers the perfect balance between smooth gaming and brilliant image quality. 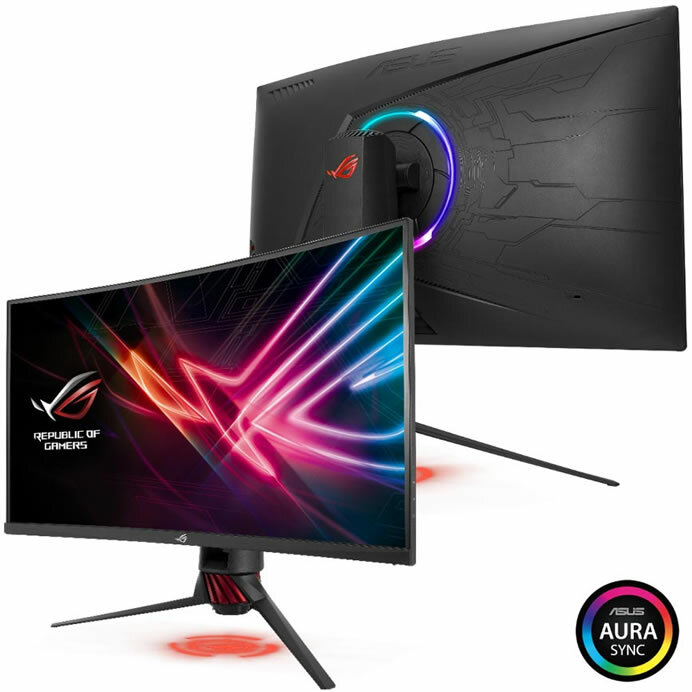 The two impressive curved gaming monitors- ROG Strix XG32VQ and ROG Strix XG35VQ feature Adaptive-Sync (FreeSync) for extremely fluid gameplay without tearing and stuttering, and include Asus Aura Sync lighting that allows for seamless synchronization with other Aura-enabled components and peripherals. Both ROG Strix XG32VQ and XG35VQ have an 1800R curvature that ensures every point on the display is equidistant to the eyes. 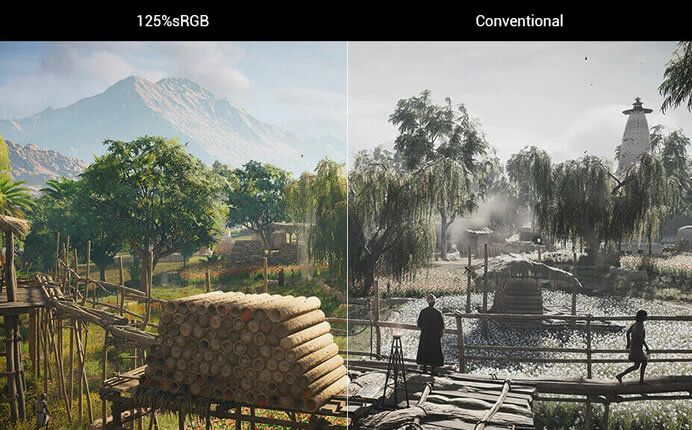 Pairing this curvature with a wide 125% sRGB color gamut, ROG Strix XG32VQ excels at delivering a wider range of lifelike, vibrant colors. The larger ROG Strix XG35VQ focuses instead on unrivaled immersion, with an ultrawide 21:9 aspect ratio that provides 35% more onscreen gaming space than a WQHD monitor, and UWQHD (3440 x 1440) resolution that takes realism up a notch, delivering clearer textures and impressive levels of detail. Integrated ASUS Aura Sync lighting technology simplifies the process of connecting ROG Strix XG32VQ or XG35VQ to other Aura-enabled components and peripherals, and also makes it easier to synchronize the lights with music or game sound effects. Synchronization is now easily achieved by installing the Aura Sync software on a laptop or desktop. Additionally, the exclusive Light Signature projection kit allows for the creation and customization of light-projection effects. It includes two ROG logo covers and one blank cover for creating customized light projections that show each gamer’s unique style. ROG Strix XG35VQ has a 100Hz refresh rate to give the player the upper hand in first-person-shooters, racers, real-time strategy, role-playing and sports titles. And for fast-paced games played at the highest visual settings, ROG Strix XG32VQ has an astounding 144Hz refresh rate, ensuring that everything looks buttery smooth and completely lag-free. ROG Strix XG35VQ features exclusive Asus Extreme Low Motion Blur technology makes objects in motion look sharper, delivering more fluid and responsive gameplay. 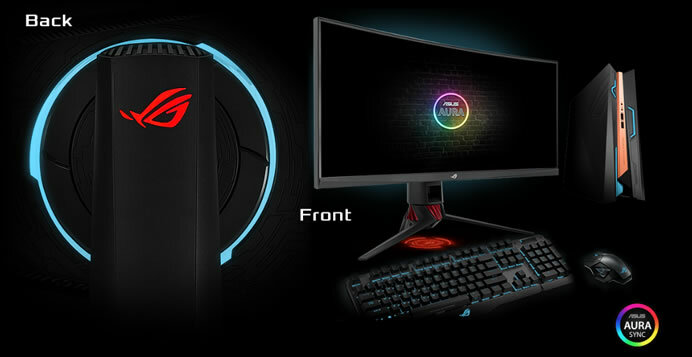 ROG Strix XG32VQ and XG35VQ feature ASUS-exclusive game-enhancing features developed with input from professional gamers. The GamePlus hotkey provides instant access to different crosshair options, an onscreen timer, a frames-per-second counter, and a display alignment feature. 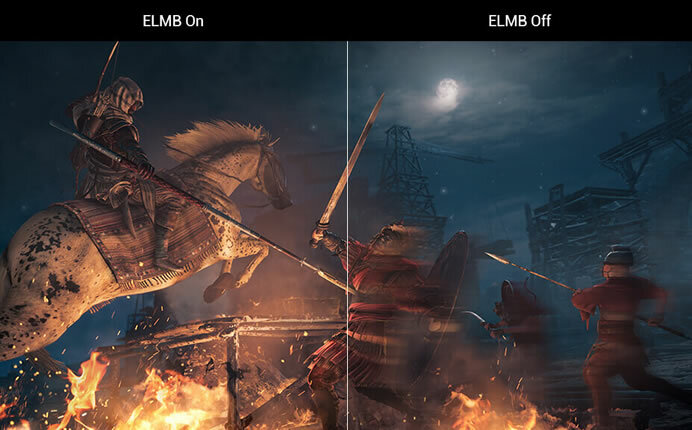 GameVisual provides up to seven preset display modes to optimize visuals for different types of games. The DisplayWidget utility software lets users easily and quickly tweak settings or configure ASUS GameVisual, App Sync and blue light filters.